1st Place: Drawing boat #40 seemed to spell disaster for Dave Terry and Larry Stanley. “We were at the lake Friday and found a good fish on a bed that would be great to start with, but with our boat draw we figured there was no sense in going after it,” Stanley admitted. 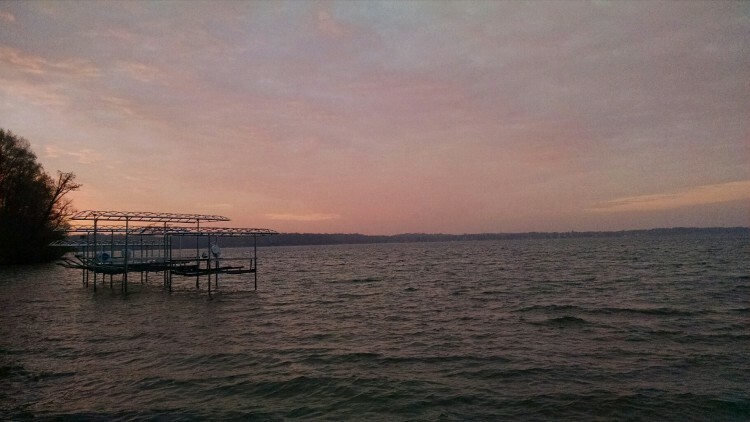 However, with a main lake limit already in the livewell during the final hour, the team decided to take a look anyway. To their amazement, it was still there. 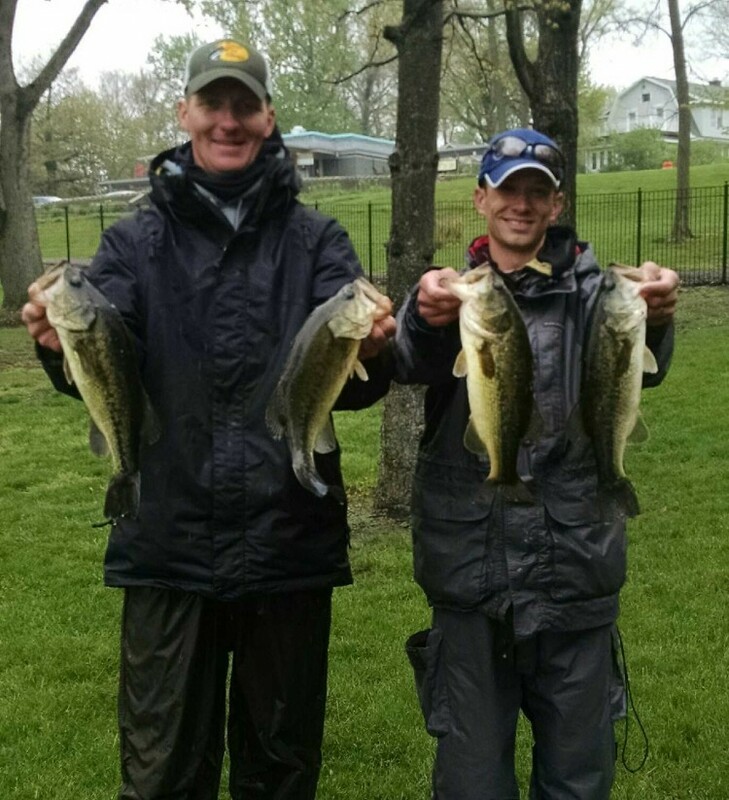 Twenty-five minutes later the three pound largemouth was in their livewell, and they were able to cull out a 1.5 pound fish sealing their first R & B tournament victory. That elevated their limit to 11.66 pounds. On top of that, their 3.03 pound smallmouth was the largest fish weighed for the event. The win scored them $713, a gift certificate from Rod Bender Baits, plus an additional $272 was awarded for the big fish. “Just like Rick Clunn (69 year old Bassmaster Elite Series angler won a recent event on the St. John’s River), an old fart can still catch fish!” exclaimed Stanley, who is slated to turn 69 this winter. Perhaps he finds himself older than the majority of his competition, but he and Terry also find themselves among the best teams throughout Northern Indiana, Southern Michigan, and the R & B Bass Circuit. Their status as one of the best amongst tournament anglers is undisputed, and, apparently, anglers should continue to expect great things from them. 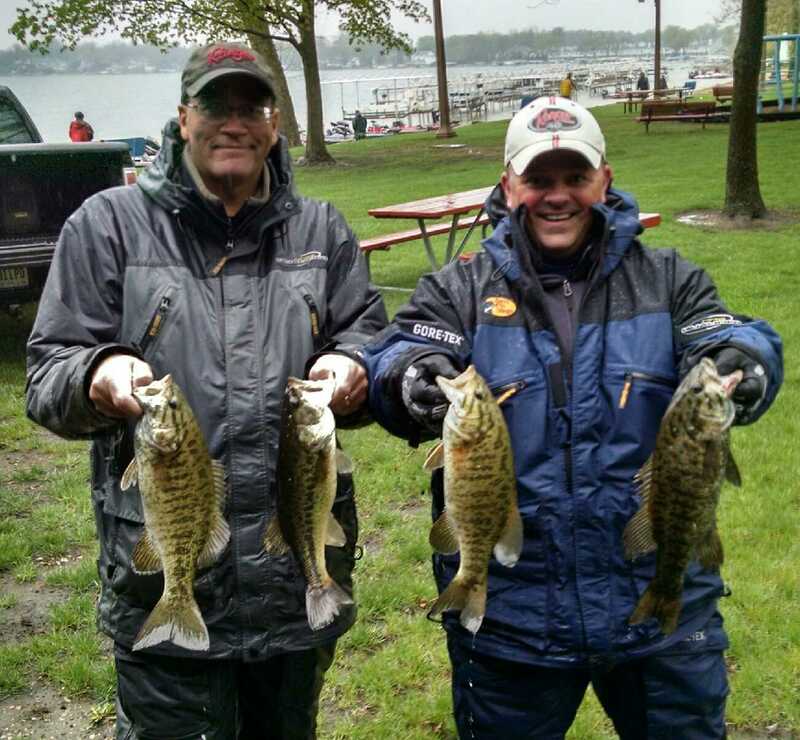 Weather at Lake Maxinkuckee presented a challenge for even the youngest and most energetic anglers, but the winners were undeterred and made adjustments from their practice the day before. “In practice we had an area on the main lake that produced a lot of jerkbait fish, so we began there,” Stanley recalled. However, two hours into the event they had failed to catch a single keeper. Experience took over from there: it was time to adjust. 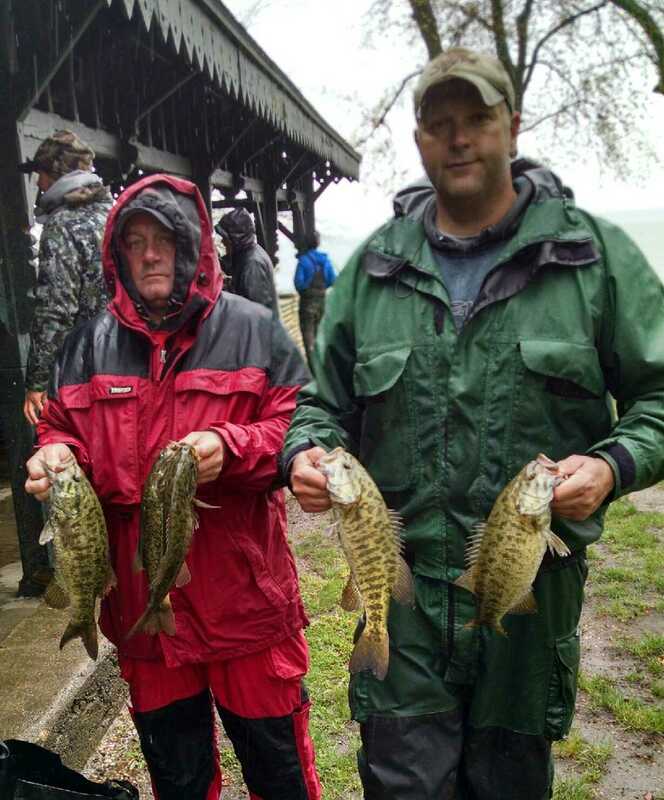 They did by going to an alternative area and slinging green pumpkin tubes and drop shot rigs with green pumpkin twitch tail minnows, and proceeded to land eight keepers, including the big bass. This set up the last hour theatrics for the largemouth off of its bed. For 25 minutes the fish remained stubborn before finally giving into the temptation being presented from a Zoom Z-Craw. Their victory exemplifies the power of experience and cool confidence that comes along with it. 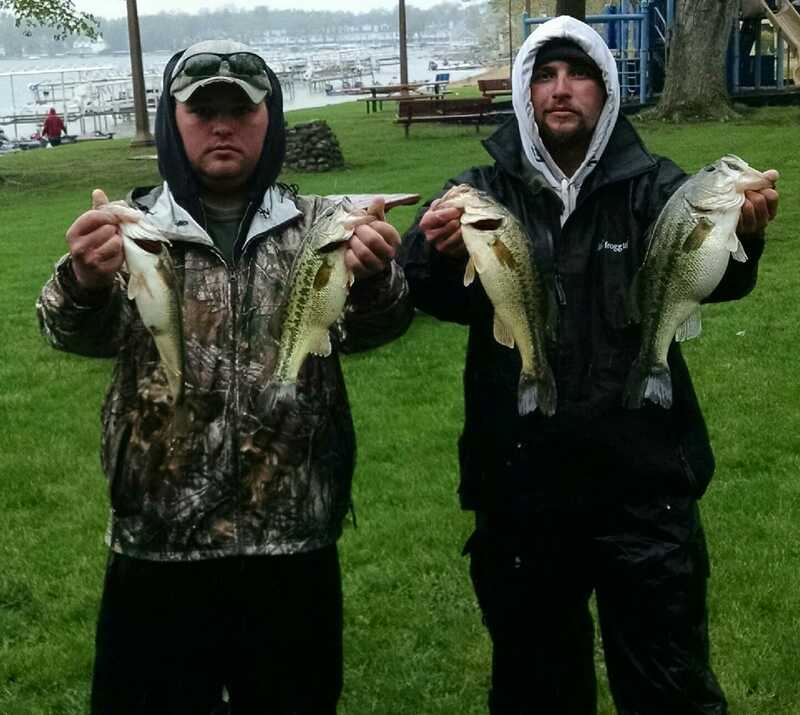 2nd Place: Unlike the winners, Matt Hoffer and Ryan Gray wasted no time getting on the fish. By dragging Erie Darters and tubes on the flats, they had their limit by 8:30 and went on to cull several times. The weeds only grew 6-12 inches off the bottom, but were key, “The fish were all relating to those weeds. Every fish we caught were amongst them,” Hoffer explained. At noon the bite stiffened, forcing them to adjust. By switching to Zoom lizards, they were able to catch a couple of more fish. 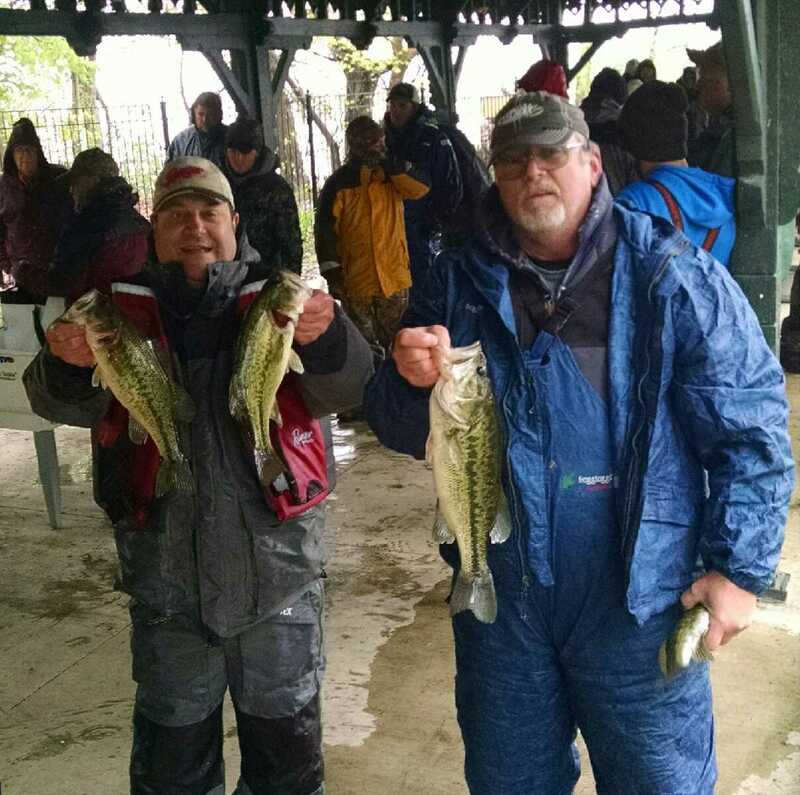 Overall, they went through 12 keepers, with their best five weighing 10.84 pounds, scoring them $446, all the while being their first experience with the R & B Bass Circuit. Their weapons of choice were homemade jigs tipped with a Missile Baits D Bomb trailer and drop shot rigs matched with a Missile Baits Drop Craw. 4th Place: It is hard to imagine that any team who catches 13 keepers would say, “The fish had us stumped,” but that is exactly how John Marquardt put it and justifiably so. He and John Hall began in the shallow end of a flat and put three in quick succession put three in the livewell, but then the bite stiffened. Their best five fish weighed 10.04 pounds, which scored then $178. 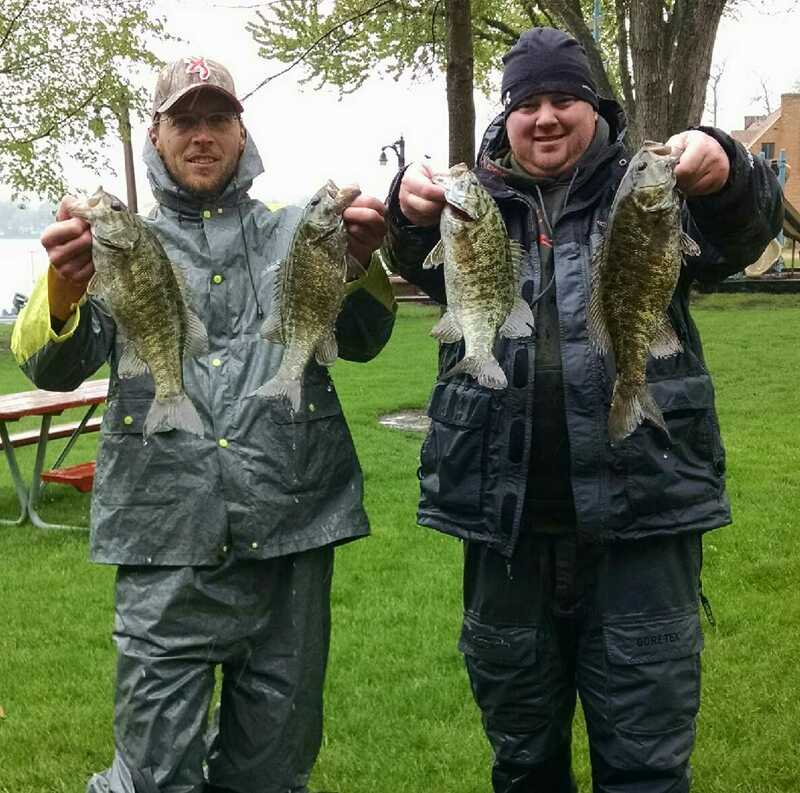 5th Place: Ironically when the R & B Bass Circuit visited Lake Maxinkuckee in May 2015, Kyle Seljan and Tim Rasala weighed the big fish of the tournament. 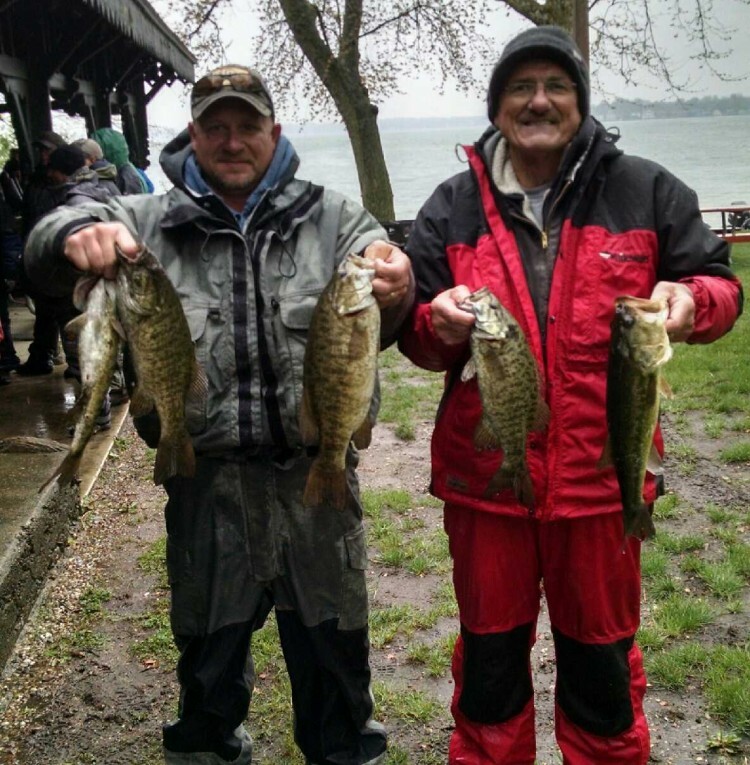 Flash forward to April 2016, and they weighed the second biggest bass of the event; the ironic part was that the two fish came FROM THE SAME SPOT! The fish, a 2.93 pound largemouth, awarded them $68, but their 9.98 pound limit also gave them $107. Within the first hour they had a limit by twitching jerkbaits between 8-12 feet. Unfortunately, that bite fizzled when the rain began. They adjusted by working drop shot rigs in the same depth and caught another limit. The big fish came off the drop shot. 6th Place: The owner/creator of Joe Bass Lures and the Max Jig, Joe DeNardo, and partner Rick Ponder weighed a 9.90 limit to take home $71. Rocky Brook Sinker Award: A 9.70 pound limit by Robert Pereira and Brian McNeal won them a tackle pack provided by Rocky Brook Sinkers. Schnelker Marine & ProX Outfitters Award:Rodney and Craig Fannin brought 8.66 pounds to the scale to win a $25 gift certificate redeemable at Schnelker Marine or online.